Larobb rushed up the stairs to the orphanage entrance. Before he could knock, the door slammed wide open. Hallie’s face appeared in front of him, filled with anticipation. “She said yes!” Larobb could barely contain himself. A huge grin spread across Hallie’s face. She gave him a quick hug. “I’m so happy for you,” she told her friend. “Thanks Hals,” Larobb said, looking relieved. Hallie could understand why, he’d been fretting about the proposal for weeks now, no matter how hard she’d tried to get him to calm down. “I guess this means that you’re on best man duty from now on up till the wedding,” Larobb said jokingly. “Oh please, I’ve been on best man duty long before you asked me!” Hallie waved it off. “I’m pretty sure Alyssa’s not the kind of girl that would want you to do any of that anyway. Or let you,” Hallie laughed. Hope let out an excited squeal. They were home! Right in front of her. She couldn’t even decide which one to look at. Her eyes were ticking from one baby to another as she approached the cribs. This was the best day ever! Hope was so excited she could barely speak. She nodded eagerly instead. “The one in the blue crib is your new brother Graham, and the one in the pink one is your new sister, Sadie.” Carly told her. “They’re both so new!” Hope said giddily. Carly laughed. “They are! So be gentle with them. They’re still getting used to the world. I’ll let you introduce yourself.” She took a step back. Hope leaned over the cribs and gave the babies an uncertain wave. “Hey guys!” She started, unsure what to say. Carly gave her a nod. “I’m Hope, your big sister! Eep, I’m a big sister!” She got distracted for a moment. Carly chuckled softly from the corner of the room. “See how happy they look? I think they like you!” She told the girl. She turned her attention back to the babies. Sera watched the petals float on the water. It was so serene. She soaked in the last rays of sunshine for the day. The sun was about to disappear over the horizon. Ah, this was bliss, she thought. She closed her eyes for a moment. She felt a shadow cast over her. Had the sun set that quickly? She opened her eyes to see Lorcan standing above her. “Hi Sera,” he greeted her. He looked oddly jittery. Not very like him. Sera looked at him quizzically. She wasn’t sure if she liked the sound of that. He wasn’t quitting, was he? Their friendship seemed to have bounced back after their failed date attempt… or didn’t it? “You know you can tell me anything.” She did her best to look calm. He attempted a little smile. Sera nodded graciously. Just get to the point already, Sera screamed on the inside. She nodded again. 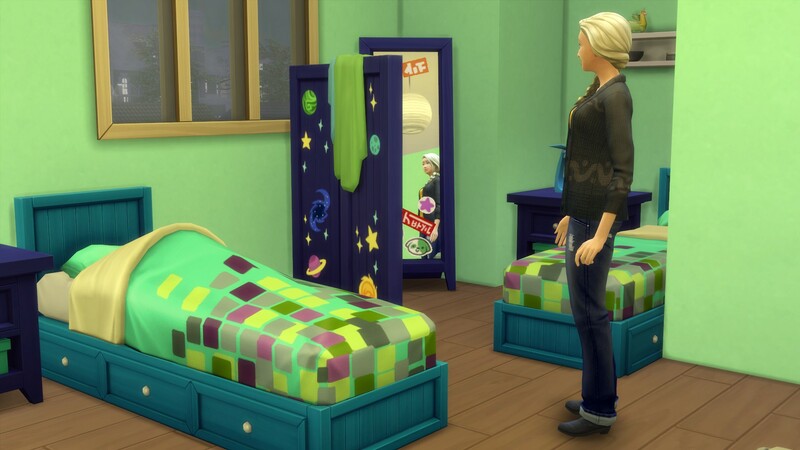 “Are you planning on moving to Granite Falls?” Sera joked, feeling uneasy. What about ME, she wanted to yell. “I’ve thought about that, of course.” Lorcan replied calmly. Sera couldn’t fault it. She couldn’t think of a more capable person to take over the meditation and yoga lessons. “She’s not you, though.” She said quietly. Sera looked at him, trying her best not to cry. She wouldn’t yell this time. He probably had a point. “Oh.” Lorcan stopped himself. He looked directly at her. When we get back. Sera wasn’t sure if she should laugh or cry. “You want me to go with you?” She repeated. “I’ll remember for next time,” Lorcan smiled softly. “Hi mom, dad! Welcome to the This is our Newcrest exhibition,” Vito greeted Pauline and Leo in an oddly formal manner. “We can’t wait to see all the photos.” Leo nodded encouragingly. Vito’s eyes followed his parents. He looked around anxiously. The place was starting to fill up. “So you’re up for it?” Larobb asked Hallie, looking almost equally as nervous as Vito. “Tonight,” he breathed out, looking a little tense again. “Don’t worry. “Hallie patted her friend on the shoulder gently. “Is this another one of your weird bro things I’m not getting?” Alyssa sat down beside them. “Oh yeah, you know, some things need to stay between bros.” Larobb turned to his girlfriend. “I’m sure.” Alyssa shook her head with a smile. “I guess I’ll leave you to it then…” She stood up, turning her attention to one of the photos. “Actually, we’re just about done with the bro-ing, aren’t we?” Hallie pinched Larobb gently. “Right!” He jumped up, joining Alyssa. “That’s just because you aren’t used to seeing the art connoisseur side of me…” He joked. Ralph and Carly were admiring the art not too far away from them. “Any day now.” Carly relaxed a little. “Hopefully not today.” She let out a small laugh. “Speaking of spotlight, how does it feel to be the man of the hour again?” Carly asked. “Ah, well, I don’t know… I just hope people like the photos.” Vito shrugged. A wave of warmth overcame Carly. Her brother had changed so much it seemed hard to believe that boastful boy he once used to be and the man in front of her were the same person. She wrapped her arms around him. “You go ahead.” Carly smiled. “Your brother is very good. Thanks for bringing me along, Sera,” Lorcan said. He would have loved to be able to tell her how beautiful she looked tonight too, but he knew that would just ruin things. “I’m glad things are… normal between us again.” He said instead. “I missed you too.” Lorcan agreed, pulling her into a hug. Sera melted in his arms. “Well if it isn’t the lovebirds!” Vito grinned. “Glad you could make it, Sera. And that you’re finally introducing us to your man.” He winked. Sera and Lorcan jumped away from each other instantly. Vito raised his eyebrows. “My mistake.” He said with a hint of a smirk. “About me? From Sera? I doubt it!” Vito let out a laugh. “Hey, I can be nice when I try!” Sera told her brother with a giggle. “I do know.” Lorcan agreed. He seemed lost in his thoughts. Just friends my plum, Vito thought. All he needed to see was the way these two looked at each other. He knew that look. He couldn’t help but be feel a twinge of jealousy, though he was happy for Sera too. It had been a long time since he shared that look with someone. But it wasn’t like he could forget it. These two may have managed to fool themselves, but there was no way they were fooling Vito. “I just love this!” Yenn was almost dancing around the room, in spite of her age. Pauline couldn’t remember ever seeing her this energised. Yenn studied Pauline’s expression for a moment, but she didn’t say anything. “We could always move her paintings downstairs or something.” Pauline added stiffly. “That sounds like a good idea.” Yenn nodded. “Do you like it mom?” Vito asked eagerly. He felt like a little kid showing off a drawing to his parents, but he couldn’t help himself. And then he spotted him. Maybe he really couldn’t see anymore. He got on his feet as if in a dream, barely feeling his legs. He wasn’t moving deliberately. He was floating towards him. “I’m just visiting. I didn’t know you had another one on the way, congratulations!” Louis said politely. “Louis.” Vito said simply. There were a million things he wanted to say, but none of them were coming out. Vito suggested they sit down, mainly since his head was spinning. He felt drunk. He hadn’t had that much juice, did he? He was too busy making the rounds. Was it just his presence that made him so lightheaded? Just… try to act normal, sheesh, he scolded himself. “I did, I guess,” Louis shrugged. Vito was all too well aware of his heart beating. Were his palms starting to sweat? But he had to ask. He knew immediately that it was a mistake. “Um… yes. I am actually.” Louis shifted in his seat. Vito knew he sounded desperate, but he couldn’t stop himself. “Don’t apologise. I’m glad you came.” Vito mustered up his strength. “And sorry for prying. Your private life is your private life. Look who’s being presumptuous now, huh?” He forced a laugh. “I know.” Louis said quietly. Vito gave the empty room one last glance and nodded to himself approvingly. He did it. The exhibition was a success. It had been an emotional evening, but in a good way. He let out a content sigh. A woman’s laugh echoed through the room. Vito looked up. He thought everybody had gone. He found Alyssa and Larobb at the opposite side of the room, sharing some sort of a private joke. He felt that familiar jealous twinge. “You’re kicking us out.” Alyssa finished his sentence with a giggle. “We’ll get going,” Larobb grinned apologetically. Vito shook his head as he watched them make their way out of the building. The moonlight greeted them outside. “Beautiful evening, isn’t it?” Larobb said to the woman. “It sure was.” Alyssa agreed. “You made me feel like a lady. Almost.” She smirked. Alyssa looked at him curiously. He seemed so serious all of the sudden. She watched him kneel in front of her. So that’s why he’d been acting strangely, she realised. “That was a yes,” Alyssa whispered. And for once, she didn’t add a snarky remark and just stared in his eyes for a moment. Larobb picked her up, gently swaying her from side to side. “I hear this is what people do when they get engaged.” He explained. “Hey, I didn’t agree to that!” Larobb protested. Vito took his eyes of the camera for a moment and examined the city below him without the lens. He smiled to himself. What started off as a casual activity to allow him to bond with Aslan had now become the most serious project he’d ever worked on. 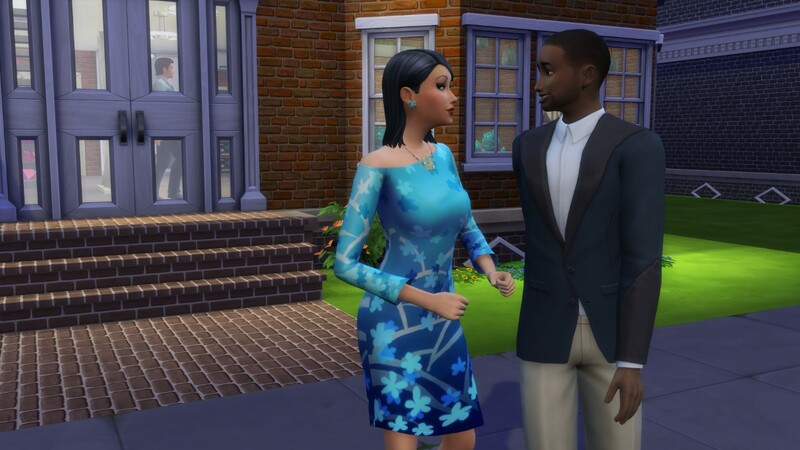 Walking through the streets of Newcrest, taking photos of the buildings in them and discovering his ancestors through the legacy they left behind… it was like discovering new pieces of himself that he had no idea existed. But it wasn’t just the buildings that have been around for generations that could tell stories. No, the more Vito engrossed himself in Newcrest, the more he realised the story was still playing out, every day. The streets of Newcrest told stories about his ancestors, yes, but there was so much they could tell about the present. And stories of old friendships that perhaps needed a bit of dusting to become as good as new again. Yes, so many stories that were happening in the very streets Vito lived in. He knew his camera had barely just scratched the surface. He couldn’t wait to share what he did manage to capture though. The most meaningful professional work he’d done, all to be revealed at the upcoming exhibition. He felt a sense of pride. Not for being good-looking ad gifted, not for often having things work out his way. Not for being a Bloomer. Not for coming from generations of wealth who had many achievements. For his own achievements, which could now celebrate theirs. For being a part of it all. “Hi Sera, welcome back,” the host said over-eagerly. He eyed up the guy on her side with significantly less enthusiasm. “For you? Of course it is!” He ushered them outside, gave Lorcan one last cold glare and disappeared back into the building. The pair stared at each blankly other for a moment. “Have you eaten in my dad’s restaurant before?” Sera took the initial plunge. “No. I don’t usually eat out.” Lorcan replied curtly. Sera examined his face. He seemed different. They’d never had forced conversations before. Lorcan would act peculiar on occasions, sure, but for the most part, their exchanges always felt natural. They once chatted through an entire night, for crying out loud. And now that it was their first official date, they were sitting here like two complete strangers. He was probably nervous, Sera decided. “I did tell you I used to work here as a teenager, didn’t I?” She tried again. “Yes.” Lorcan cleared his throat. Sera waited for him to add something, but apparently that was all he had to say. “There’s not much to talk about.” Lorcan muttered evasively. Sera’s throat felt dry. She cursed herself. Lucikly, their food arrived at that moment, giving her extra time to figure out how to clean up this mess. They ate their meal in silence. The waiter gave them a peculiar look when he cleared their dishes. He’d seen plenty awkward first dates at the restaurant, but this couple had him wondering if they even came here together voluntarily. They made their way out of the restaurant. “I’ll walk you home,” Lorcan told her. “No. Of course not.” Sera almost laughed. She slid her hand into his. Lorcan gave her a fleeting smile as they walked towards Newcrest. He didn’t let her hand go. Perhaps tonight wasn’t that much of a disaster, Sera figured. They reached her house before she knew it. Lorcan grabbed her other hand. Elated, Sera leaned towards him. “Well, you know, we don’t have to end the evening here. Why don’t you come inside? There’s plenty of room for you to… spend the night.” She said seductively. Lorcan immediately backed away from her. “Why do you do this, Sera?” He wasn’t shouting, but he sounded angry. Lorcan’s face twisted into an ugly grimace. “You think I don’t want you?” He pulled her close to him abruptly. “So this is it?” Lorcan’s voice croaked. “You won’t lose me.” He said quietly. “So… do you think it’s for the best too?” Sera stalled. “Well, I guess I better go.” Sera stepped from one foot to another uncomfortably. The kids gathered in the playroom, fidgeting on their stools impatiently. Hallie said she had big news for them that afternoon, and they’d all been excitedly exchanging theories all morning. “So, are you guys ready?” Hallie kneeled down in front of them with a conspicuous smile, receiving eager nods and yes’s in return. Oohs and aahs filled the room as the purple-skinned girl walked in. “I hope we get to be friends!” Donnie said shyly. Nobody really noticed that Alexus was awfully quiet in all of the excitement. The girl watched as everyone started introducing themselves to the newcomer. Everyone seemed so happy to have an alien in the house. And Emmeline didn’t seem to try to hide what she was. Alexus was confused. What did any of this mean? And did Emmeline somehow know her secret? The alien girl caught her looking at her, causing Alexus to jump. Alexus couldn’t take it. She snuck out and ran all the way to the playground, climbing onto the monkey bars. Maybe she should just stay here for good. Run away. These last few months… Everything she’d ever known seemed wrong. Alexus couldn’t make sense of any of it. 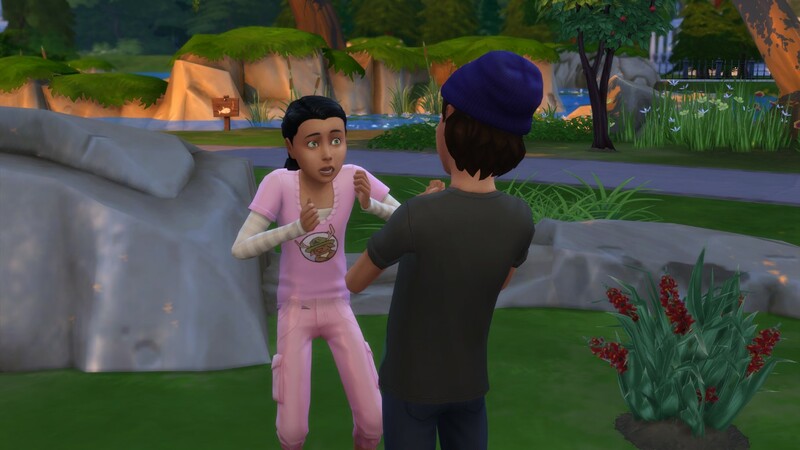 When they first found her in the streets of Willow Creek as an odd-skinned and bud-eyed baby, they took her to hiding. But to her carer’s relief, the child developed the ability to morph and take on disguises as she got older. Stick to one, they told her. Pretend to be normal. If you do it well enough, maybe one day you can join normal children. She was elated when she was finally deemed convincing enough to be sent to live in the Newcrest orphanage with other children. She’d act as kind as she could possibly imagine, to make sure she’d fit in. And she did. She made friends. Was one of them. Or so they thought. And that was good enough, wasn’t it? But then the girls was forced to question everything. It started with little things, like Donnie asking about aliens. The first real blow was Snowflake Day, when they all met those aliens. But they were old ladies. They’d lived here for a long time, and they were Bloomers at that. Not like her, a true outsider. Or so Alexus thought. The girl suddenly noticed she was watched. “Hey! What are you doing here? Are you stalking me? Go away!” She yelled over her shoulder. Aslan Leoni and his mean remarks about silly girls and cooties was the last thing she needed now. Alexus almost fell off the monkey bars. This was bad. Really bad. With this and Emmeline, what was left for her to do? Of course, she could try to alter his memory. But none of that seemed right. The most Alexus had used her powers for in the past were instances like reading Camden’s mind when him and Marla hid Donnie’s helicopter to find out where it was, or to make Millicent zip up when she was about to deliver yet another self-important speech. But Alexus had quickly learned that most situations like that could be dealt with the regular way too. By talking to them. Perhaps she should do that now too. “Follow me,” she told Aslan as she jumped down to the ground. She led him to a more secluded part of the park, out of most people’s sight. “So… what do you think you know?” She asked the boy. “Do you think I’m a lamp?” Alexus stalled. A million frantic thoughts entered the girl’s mind. First things first. “Who? Hope and Donnell? No.” Aslan shook his head. Probably because I’m feeling a million things at once, Alexus thought. Naturally, she didn’t tell him that. This was getting even worse, Alexus cringed. “What, you found out my secret and now you want to know all of my thoughts too?” She hissed. She twirled around, revealing her true form. “Woah what?” Alexus asked nervously. It was the first time anyone in Newcrest could see the real her, after all. “You look awesome! You’re blue! I thought all aliens were green!” Aslan brought Alexus straight to the earlier encounter with Emmeline. His reaction was so similar to the other kids’ reactions to the new girl… but it couldn’t feel more different. “Never mind.” He’d find out about Emmeline soon enough, Alexus figured. “Yeah! I wish I could be blue… Wait, so can you make your disguise look like anything you want?” Aslan was getting excited. “I can.” The girl muttered modestly. “I dunno. Why would you want to be just normal? You’re super cool! And blue!” Aslan enthused. Alexus couldn’t remember the last time she felt this happy. She definitely never experienced such freedom, with or without her disguise. “Thanks Aslan,” she smiled. “I was wrong about you, you know. You’re actually pretty nice. For a boy.” She added quickly. “Neither are aliens, right?” Aslan shrugged with a smirk. Alexus just winked and changed back into her human disguise. “Hey Aslan… you’ll really keep the secret, right? No matter what?” She asked. Lorcan opened his eyes. All he could feel was rage. He was mad at the world and every single person in it. He wanted to kick the wooden panel wall next him, or tear the painting on it and smash it. The painting. The wood. Where was he again? For a moment, he struggled to remember. And then his mind finally started to wake up. Granite Falls. The cabins by the lake. His yearly spring getaway. What a pile of garbage, he thought. Rebirth? He could barely get up. He stared at the ridiculous painting in front of him for a while. Ok. Just do it. The angry punk in the mirror greeted him in the bathroom. Lorcan couldn’t even count the times he’d taken a swing at his own reflection in the past. These days, he was able to limit himself to a disdainful glare. Come on, you’ve done this a million times, he reminded himself. Just calm down. It should be getting easier. Every morning is the same. He closed his eyes, taking a few deep breaths. When he opened them, the view of the lake outside was the first thing he saw. He slid the window open and stepped over the meditation stool. He could smell the woods. Hear the birds. He was suddenly very aware of the life pumping through his veins. His anger was starting to subside. Taking a step back, he carefully sat down onto the stool. For a while, he would keep his eyes open. Taking in the world around him with all of his senses. Nothing else mattered, it was just the nature and him. And then they were one. He closed his eyes, melting into the world around him. There was nothing separating him from the tree on his side, the beetle at his feet, the seagull in the sky… They were all connected through a ray of energy. And the people in the world, the ones he hated just a moment ago… how could he go on hating them? They were all one and the same too. They all came from the same place, and would one day all return, merging into the single stream of energy they truly were. Of course he’d been angry. He’d been ripped apart from the perfect stream. They were all angry in their way, because they could feel they weren’t whole. But now that he reminded himself he was still a part of it all, he was calm again. He was finally ready to face the day. Grabbing a bowl of cereal, he headed outside to eat his breakfast on the deck overlooking the water. “Morning, Lorcan!” The most beautiful voice he knew called out to him from the neighbouring cabin. She waved at him from the distance. She tossed her robe aside with a playful giggle. Sera. She was perfect. Inside and out. If he hadn’t been there all along, it would be hard to believe her transformation. When he first met her, she seemed almost as broken as he was. It was hard to believe the same person would build a meditation centre to help others and become this radiant woman in front of him. But she did. “Cannonball!” Sera leapt from the table she used as a platform, landing in the water with a massive splash. He shook his head and dove in after Sera. “True… but do you regret it yet? I wouldn’t want to be invading.” Sera hesitated. “I’m glad you’re here.” Lorcan reassured her. “I mean it. Besides, I’d miss out on the life-changing dive, wouldn’t I?” He smiled softly. “So, what would you typically do for the rest of the day?” Sera asked. “I guess that’s the plan for the day then,” Sera said brightly. “That sounds good,” Lorcan agreed. Sera grinned conspicuously. “But first… prepare for a tsunami!” She started splashing around her wildly. “Don’t you think I won’t retaliate!” Lorcan responded with launching his own splashing offensive. Sera raced to the viewing platform, looking almost as if she wanted to hug the mountains surrounding her. Lorcan’s gaze didn’t leave Sera. “It really is.” He agreed. “I definitely understand why you like to come here,” Sera continued enthusiastically. She turned around. “What for?” He was confused. Before he could say anything in response, Sera wrapped him in a hug. “I… well, like I said earlier, I am glad you’re here.” Lorcan stumbled over his words. He briefly gave in to the moment and just enjoyed her closeness. But he couldn’t allow it to last too long. “So, I was thinking this would be a perfect spot for some yoga in the sunset?” He suggested as he drew away. Why did he always do that when they got too close, Sera pondered. She was struggling to focus on the yoga routine. Meanwhile, Lorcan was executing every move with complete precision, of course. Perhaps there was a time when she was content just being around him, but it seemed silly to continue ignoring it. She jumped up to her feet. “What’s going on?” Lorcan followed in her footsteps, looking confused. “How long are we going to keep going like this?” Sera asked. Sera didn’t wait for his answer. He didn’t push her away, perhaps because she didn’t give him a chance to. She only kissed him briefly, not allowing the exhilaration and the butterflies to get into her head too much. She forced herself to part her lips from his again. They walked over to the bench overlooking the lake in eerie silence. “It’s not just about a poor relationship record!” Lorcan’s already deep voice suddenly became solemn. Lorcan, in a pub brawl? Sera couldn’t picture it. Lorcan paused, looking into the horizon. Sera didn’t say anything. 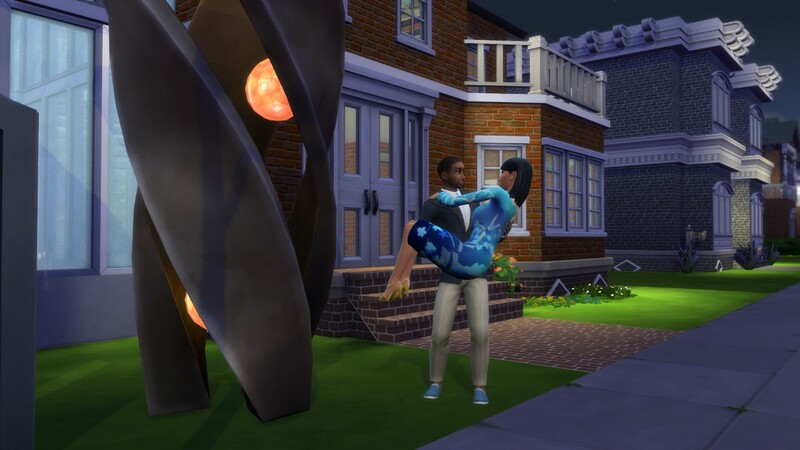 It was the story he’d told her at the cemetery that night, on the Day of the Dead, about finding himself in Granite Falls, except this time, she got the full version. “No!” Sera burst out. She was shaking. She did not expect him to smile in response. Lorcan reached for her hand cautiously. Sera squeezed his hand, wrapping it in his. “Then we won’t have a problem.” She smiled. Note: The beautiful cabins Sera and Lorcan are staying in were built by Simproved. Vito felt giddy but nervous when he entered Alyssa’s house. He’d been thinking about it ever since Snowflake Day, but before he needed her blessing before he could do much. He took a deep breath. “Ugh, are you gonna interrogate me about how I can trust Larobb around his ex too?” Alyssa rolled her eyes. Here goes nothing, Vito thought. “It’s not like being a Bloomer automatically makes your life easy,” Vito protested. “So… you’re ok with it?” He asked cautiously. Donnell snuck into the boys’ room, looking around briefly before bursting into tears. Luckily for him, no one else was around. He crawled into his bed, hiding under the sheets. It didn’t take Hallie long to hear the sobs and identifying where they were coming from. “Donnie? What’s wrong?” She asked gently. The boy peeked from under the duvet. “No, well, yeah, but… I just… I don’t think anyone will ever adopt me.” Donnell admitted. “Of course I do. You’re smart, compassionate, kind, and you draw some awesome pictures.” She said encouragingly. “Then you’ll always have a home here. And always have me as a friend.” Hallie reassured him. “That’s a cool shot, dad! Though I don’t know if I like the creepy tree in it.” Aslan examined the photo on Vito’s camera. “See, I like the creepy tree,” Vito smiled. “I guess that’s kinda cool.” Aslan shrugged. Vito decided this was the best opportunity he was going to get. “Me? I’m Aslan Leoni!” Aslan said immediately. “It is a good name. Makes me sound like a lion.” Aslan grinned. “True.” Vito tried to hide his disappointment. Vito wasn’t sure what to say. While Aslan refused his last name, this was more of an expression of love than he’d ever had from the boy. “I can keep a secret,” he told his son finally. Aslan seemed torn for a moment. Vito leaned down to hear Aslan’s whispering. That was unexpected. Vito had hoped it would be a couple more years till Aslan started to have problems related to girls. But why think about that now?